Creating Exceptional Presence Training Program. Learn to master perceptions through behavior modification techniques used by actors and athletes. Limited first enrollments accepted in February 2014. Skills taught and practiced: Self-analysis, Sensitivity, Interpersonal, Verbal, Style, Situational, and Performance. 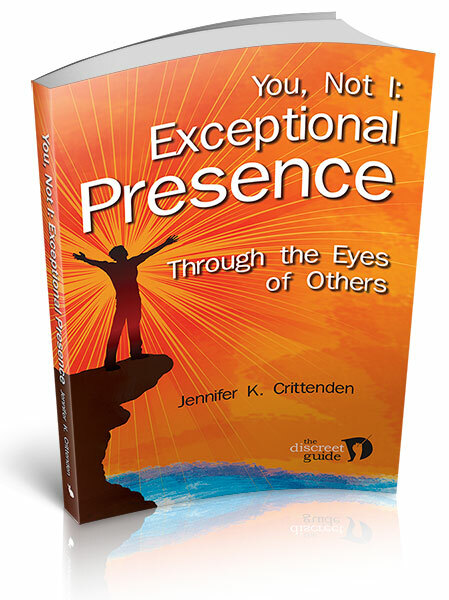 Based on the book: You, Not I: Exceptional Presence through the Eyes of Others. Additional materials include the Creating Exceptional Presence Handbook. All materials are included at no extra charge, including a certificate of completion. Can be taught in-person or on-line. It is comprised of ten 90-minute sessions, combined with readings, developmental exercises, and video-analysis, with an emphasis on tactical information and tangible results. Click here to read the introduction to the book, You, Not: Exceptional Presence through the Eyes of Others. Click here to read an excerpt from the Executive Presence Handbook. This intensive, customizable program includes a self-assessment to identify areas to focus on, such as gravitas, credibility, authenticity, confidence and trust. 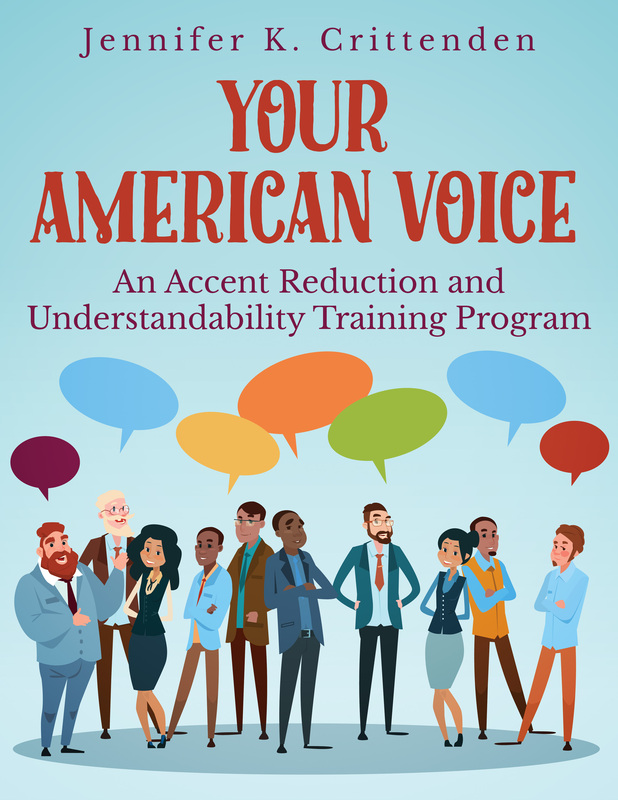 Tactical lessons will address voice, carriage, wardrobe, and language skills. Context-specific behaviors will be identified, studied, evaluated, and practiced to augment others’ positive perceptions of you. Individual coaching is provided in six 90-minute video-Skype sessions, combined with a series of self-development activities (provided by the coach) to be completed between the sessions. Participants will complete a total of 56 hours of program time, including calls, guided activities and individual instruction. The program should be completed within 12 months although it is typically completed in 3 months. This program is open to anyone anywhere in the world with access to Skype. This course with the same instructor is offered through the University of Wisconsin or through the MBA Women International professional organization, if you would like to receive an official certificate from one of those organizations. Prices vary. If you register directly through Jennifer Crittenden, the price of the program is $2,000 for 56 hours of program time, including six individual 90-minute coaching sessions. Write to me at jennifer (at) discreetguide (dot) com and tell me what your goals are, and let’s see if there’s something I can help you with. The program will start whenever you are ready to start enhancing your Executive Presence. MBA Women International announces the Executive Presence program. Click here to read the news release. University of Wisconsin launches the Executive Presence – Strengthening Professionalism Course. Click here to read the announcement. 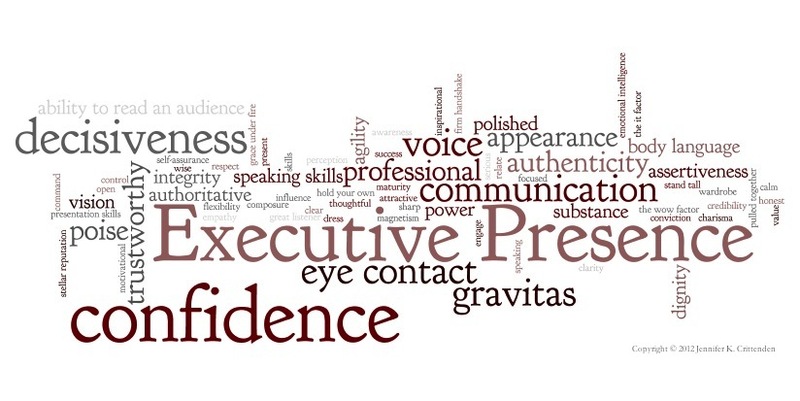 “Creating Executive Presence” program launched in Jan 2013. Click here to read the press release.